RM Sotheby’s added a second sale day to its Amelia Island 2017 classic car auction to sell 58 cars from the Orin Smith Collection. 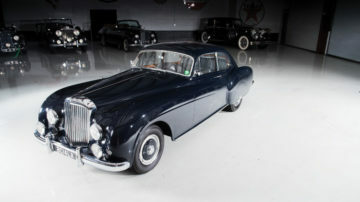 The sale will include 22 of the finest coach-built Rolls Royce and Bentley cars in the world. Further marques in the collection include Allard, Aston Martin, Jaguar, Lancia, and Mercedes-Benz. ‘A Gentleman’s Collection: The Pride and Passion of Orin Smith’, is a meticulously presented 58-car collection, which will be offered 10 March 2017 as a prelude to RM’s traditional Amelia Island sale. Well-known and highly respected on the international show circuit, Orin Smith was a consummate enthusiast and active concours competitor with a keen eye for detail. 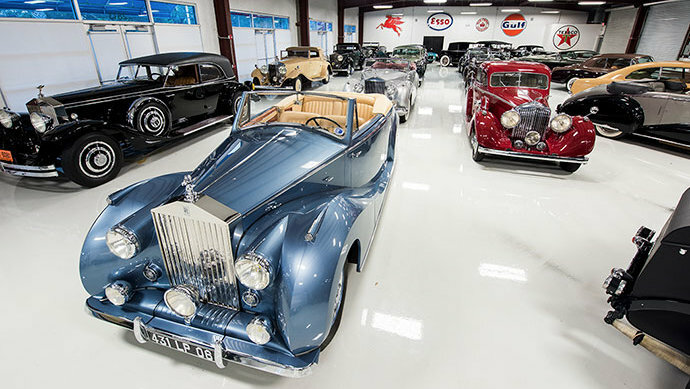 His collection – the result of two decades of meticulous curation – represents, at its core, one of the world’s finest groups of coachbuilt Rolls-Royces and Bentleys. In total, 22 vehicles from the two marques will be featured at the March 10 sale. 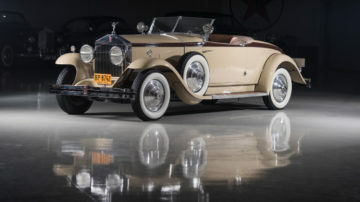 For those with a predilection for Rolls-Royce, highlights include an authentic 1929 Phantom I Henley Roadster by Brewster, one of only two Henley prototypes built on the Phantom I chassis; an award-winning 1948 Silver Wraith Cabriolet by Franay, complete with streamlined one-off coachwork for French cabaret star “La Môme Moineau”; and the world’s most famous PII Continental, the ex-Raymond Gentile 1934 Phantom II Continental Drophead Sedanca Coupe by Gurney Nutting. Beyond its concentration on Rolls-Royce and Bentley motor cars, the Gentleman’s Collection has a secondary focus on sports and performance vehicles, including powerful examples from the likes of Allard, Jaguar, Lancia, Mercedes-Benz and more. In the market for an Aston Martin? The collection covers everything from prewar to modern models, including a 1966 Aston Martin Short Chassis Volante, the first such example built. 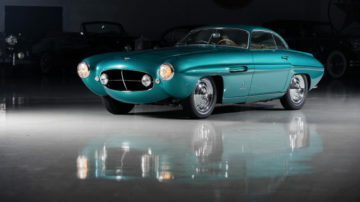 Then there is unique, jet-age design, showcased by such striking examples as the 1953 Lancia Aurelia PF200 Cabriolet, a unique Pinin Farina concept on the rare Aurelia B52 chassis, displayed at the 1953 Geneva and Turin motor shows; and, an exquisite 1953 Fiat 8V Supersonic by Ghia, originally delivered to powerboat racer Lou Fageol. Other early highlights already announced for the RM Sotheby’s Amelia Island 2017 auction include a 1937 Bugatti Type 57S Cabriolet by Vanvooren and a 1961 Ferrari 250 GT SWB Berlinetta.